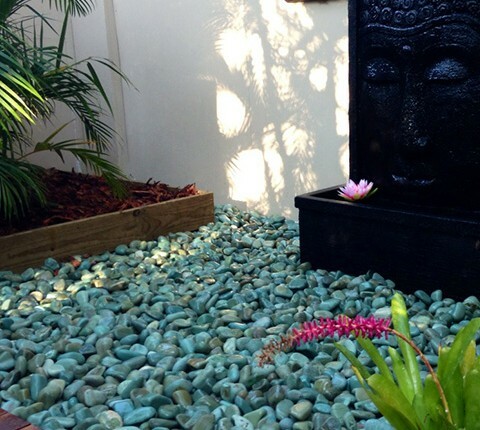 The clients were after a tropical oasis in an urban setting at this Camp Hill location. A combination of tropical plantings, hardwood timber, Kashmiri Pebbles and garden features come together to create the just that, a Balinese escape tucked away in the suburbs. 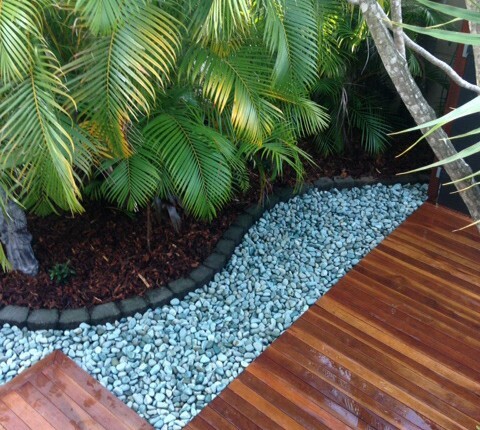 The work on this job was carried out by Total Garden Solutions based in Mudgeeraba, QLD. 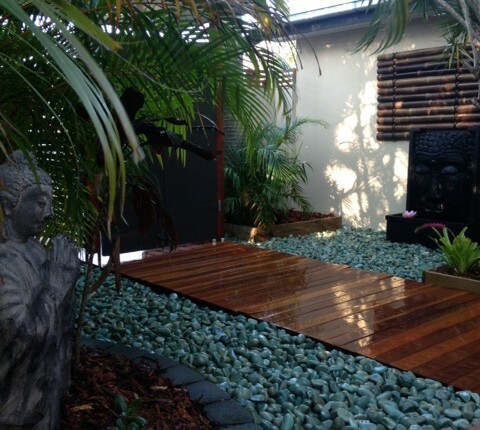 Hard Landscaping: Kapur Hardwood Deckings, pine edging, bamboo screening, tropical plants (Golden Canes and wild gingers), charcoal garden edge blocks, features such as fountains and garden statues.